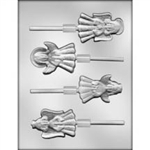 The holidays are right around the corner, and now is the perfect time to stock up on unique Christmas molds from Sweet Treat Supply! 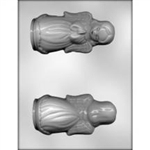 Whether you're looking for Christmas candy molds, Christmas chocolate molds or molds for mints, suckers and other treats, you're sure to find what you need quickly. 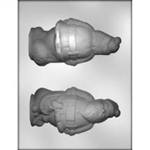 Our selection includes molds for fun shapes like Christmas trees, poinsettias, light bulbs, gingerbread men, stars and so many Santas that you will not believe your eyes, so zeroing in on the perfect option is a breeze. 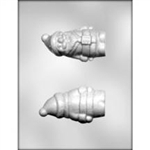 You'll love shopping our lineup of Christmas molds, which includes Santa chocolate molds, gingerbread house molds and a wide array of other eye-catching options. From mints to suckers to candies, these molds make it quick, easy and fun to create a huge variety of tasty holiday treats. Thanks to our everyday low prices, you can easily afford to stock up on your favorites. With these molds, creating delectable, beautiful treats is a snap, so be sure to place your order today and get free shipping on orders of $100 or more!